A plan by Agriculture Minister Uri Ariel to pull National Service funding for leftist group B'Tselem is 'illegal,' government lawyer says. 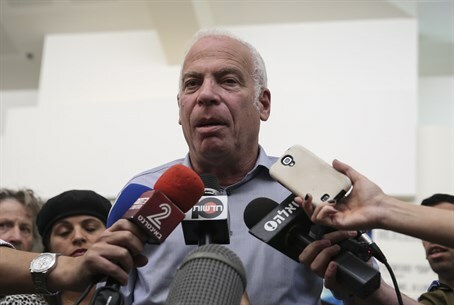 Agriculture Minister Uri Ariel recently called to pull National Service funding for groups that testified against Israel in the recently released UN report on Operation Protective Edge. But the Attorney General's office is insisting on allowing the funding to continue. A deputy in the office, Dina Zilber, expressed her legal opinion that cutting off the funding would be against Israeli law. Among the groups cited in the UN report on Israeli activities in Gaza during the summer war, in which Israel, as well as Hamas, was charged with “war crimes,” is B'Tselem. Part of the UN report was directly quoted from an earlier report by B'Tselem, which itself said that Israel had deliberately struck Gaza homes - all while minimizing the context of Hamas's terrorist infrastructure. The report, though, largely ignored how Hamas embedded its rockets, tunnels and terrorists in the civilian landscape of Gaza, thereby necessitating the strikes. However, as a registered non-governmental organization, B'Tselem, like groups that help the poor or plant trees in Israel, is eligible to receive workers from the National Service, where young people dedicate one or two years to working in state institutions. National Service is generally a substitute for army service, originally designed for girls from observant families who for religious reasons do not serve in the army. Over the years, it has been expanded to include males who for various reasons – health, or conscientious objection – do not serve, as well as including Israeli Arabs who volunteer to serve. Speaking on Army Radio, Zilber said that the decision by Ariel, who is in charge of the National Service, to withhold services from B'Tselem and other groups named in the UN report was illegal. As long as those organizations were registered NGOs, she said, they were eligible for all the services and benefits accruing to all NGOs. In response, Ariel's office said that he would figure out a way to halt the assistance. “We will not fund organizations that work against the state,” the office said in a statement.